Every retail establishment — from high street stores and online shops to businesses that provide both — hears about EMV. Credit card brands began shouting “EMV” from European rooftops in 1994. By 1998, new chip cards became a reality in many countries over there. Merchants in Asia, Africa, and Latin America followed suit, and now migration is underway and nearing completion in North America. So what do merchants need to know about EMV? No doubt you hear a lot of tales. Some tales are true, and some are myths exacerbated by the current fascination with urban legends. Such mythical thinking often accompanies new technology that merchants don’t fully understand. EMV myths are no exception. Merchants: Don’t fall victim to myths about EMV. It’s too important. Let’s look at EMV and the EMV myths that you should dispel. You’d think that a good industry acronym would be self-explanatory. Some are, and some really aren’t — like EMV. Payment card associations EuroPay, MasterCard, and Visa worked together in the 1990’s to create a more secure way to pay with credit and debit cards, hence EMV. Their efforts resulted in the EMV standard that “governs the new credit cards that store consumer data; and the POS hardware that recognizes those cards” according to MerchantMaverick. The EMV standard uses chip technology imbedded in the card, also called a “smart card.” Instead of relying on an old fashioned magnetic strip to store the credit or debit card account information needed to authorize transactions, EMV cards utilize microprocessors, or chips. Rather than “swiping” payment cards with a mag strip, the customer inserts (or dips) the chip end of their payment card into a special chip-enabled POS terminal to initiate a transaction. EMV Sounds Pretty Simple — Right? 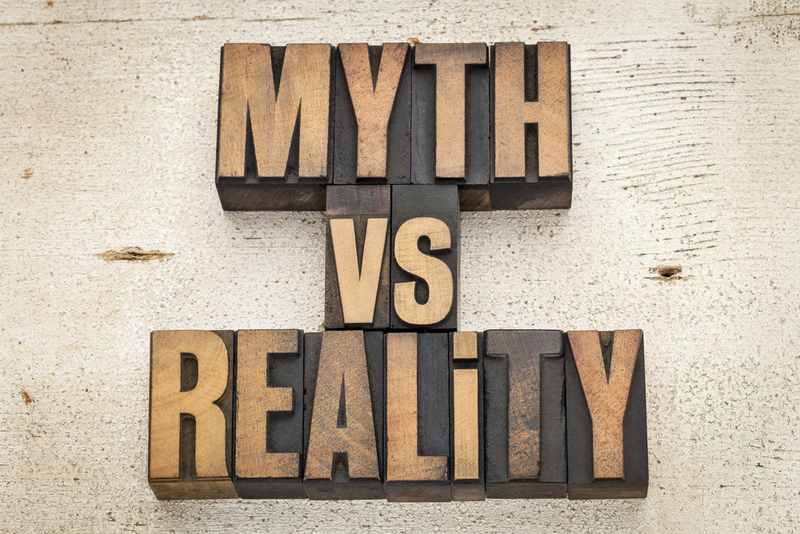 Myth #1: Ecommerce merchants don’t need to worry about EMV. Wrong. What merchants need to know is fairly simple: EMV results in a new standard for payment cards that helps combat fraud. Yet the technology employed isn’t simple, involving microprocessors and cryptograms that criminals find more difficult to break. Bricks-and-mortar retailers, where customers physically present their cards, are better protected from fraud with EMV. Because ecommerce shops process CNP (card not present) transactions, the EMV standard provides less direct protection for them. But before you decide that EMV doesn’t matter at all to your online success, know that some experts attribute increased online fraud to EMV — and fraud affects everyone. So it pays for all merchants to be conversant with EMV. Myth #2: Merchants don’t have a choice because there’s a law in the U.S. that requires all merchants to accept EMV chip cards. Wrong. Myth #3: Chargebacks are guaranteed to occur for merchants who don’t migrate to chip-enabled POS terminals. Wrong. Myth #4: Chargeback risk from true fraud occurs equally for all merchants after the liability shift. Wrong. No one forces merchants to migrate payment acceptance to the EMV standard. Chip cards may still be “swiped” using existing POS terminals for merchants who do not choose to migrate. Merchants must choose if and when to transition to EMV. They should, however, be aware of the “liability shift” that began in October 2015. The liability shift means that bricks-and-mortar retailers who don’t use chip-enabled POS terminals — but require customers to “swipe” the mag stripe on their cards — risk being liable for any fraudulent payment card activity. Liability shifts away from the issuing bank, and to either the merchant or the acquiring bank. Merchants who don’t offer EMV terminals automatically lose chargebacks filed by customers who swipe cards at the store. Whether friendly fraud or true fraud, the merchant automatically loses. So if you know all of your customers (as doctors, dentists, or lawyers do), it might be okay to wait awhile longer before moving to chip-enabled terminals. Real fraud risk is lower for those businesses. But the liability shift offers a pretty good incentive for most merchants to make the transition. Each must make the choice to migrate, and determine appropriate timing. Of course, the risk of fraud loss is never zero, even with EMV technology. Remember the microprocessors and cryptograms mentioned earlier? Well, each time an EMV card generates a transaction, it creates a unique code that replaces the standard 16-digit card number in the card-swiped transaction. Hence, the stronger security built into chip-card-generated, card present transactions. Myth #5: If you don’t implement EMV, the major card brands will raise your rates or charge you and extra fee every month. Wrong. Many factors drive your card processing costs, but having EMV enabled (or not) isn’t one of them. Visa, MasterCard, American Express, and Discover won’t charge extra fees based on a merchant’s EMV status. Myth #6: EMV chip cards and NFC contactless payment technologies are the same. Wrong. EMV cards and NFC “near field communication” contactless devices both enable payments, and they offer more robust security than magnetic strip cards. EMV cards physically chips, and must be physically connected to (inserted into) a chip card reader. NFC contactless devices communicate wirelessly with an NFC reader when close by. Myth #7: PCI-Compliance is not required once a merchant is EMV enabled. Wrong. Wrong. Wrong. PCI-Compliance is required for all payments processing. The full moniker is PCI-DSS, which stands for Payments Card Industry – Data Security Standards. Becoming and remaining compliant allows merchants to collect and handle payment card data safely. Now you know why EMV myths need to disappear from your payments industry knowledge base, to be replaced by facts. If you still have questions about EMV, or need guidance on when and how you should migrate, be sure to ask your payments processor for advice. The right payments processor will help merchants understand the ins and outs of EMV and how best to migrate their businesses — based on individual situations. Another good reason why choosing a payments processor who’s an industry expert makes perfect sense. Choose a processor that not only shares expert advice, but also acts as a consultant and payments advisor too. MerchACT is the leading provider of merchant accounts and payment technology to high risk, innovative companies who operate outside the box of traditional retailers. We’d love to work with you.